The art of blending is a craftsmanship one tastefully encounters in luxury drinks like whisky. Imagine what is to be done for one brand to make every bottle of precious liquid exactly the same; for people expect the same quality, not only in their own country, but across the border it should look, feel and taste the same as well; repeatedly over and over and over all the time. Choosing from all those casks of whisky; all different in age, taste, impregnation and maturation is not an easy task and hence the term master-blender is frequently used as appraisal in the industry. In slightly higher regard stand those who are able to play freely in the cask-field by not only harmonizing up to explicit quality, but also essentially add a signature to the already perfect drink, thereby creating more depth, stunning flavours and long lasting lingering finishes. On top of this there are a few instances where the master-blender is the master-distiller as well, able to control the whole process from start to finish in the end creating the loveliest of spirits; precisely the circumstances in which Shant Hagopian operates with Semantic Saturation when compared to the musical equivalent of it. Paradigms is the second release by Semantic Saturation, the first being Solipsistic from 2012. On his first album he used the talented skills of Virgil Donati (drums) and Ric Fierabracci (bass) to present highly entertaining instrumental progressive metal, with guest appearances on one track by Andy Kuntz (Vanden Plas) on vocals, and Derek Sherinian (Sons Of Apollo) on keyboards adding signatures throughout. For Paradigms the base-field has been altered completely resulting in an more than satisfactory versatile form of Shant on guitars and keys, Craig Blundell (Steve Wilson, Frost) on drums and Kristoffer Gildenlöw on bass. With some extraordinary supportive appearances, Shant has surpassed his own standard and raised the bar, subsequently nourishing our senses. A creative and artistic insight into the mind of Shant shows on the lovely self-designed artwork in which the album is presented. Production by Shant is handled extremely well, for the album is impeccably vivid, harmonious, balanced, vibrant, tight when it needs to be, yet playful when called for; and above all a treat to listen to and enjoy. Most tracks are based on instrumental jazzy progressive rock fusion structures and melodies, leaving lots of space for the three cornerstones to fill in the blanks when necessary to make it all sparkle. Each member knowing their instrument by heart shines through in their performance, without ever feeling the need to outweigh the other. Genuinely guitar driven, there’s still ample of room for variety, flashes of keys, subtle or hard hitting drums, firm and tight bass and the occasional solo (be it keys or guitar) as perfectly demonstrated in Mirrors Of Confusion and Pareidolia. Universal and Until We Meet Again showcase a softer touch with more melodic rock whereby acoustic guitars add character and keys giving refinement, often reminding me of Dixie Dregs and Steve Morse. The heavier full bodied tracks like The Stranger From Andromeda and Disturbence show signs of brilliance with influences by Dream Theater reminiscent of their instrumental work during the Images And Words and Awake era. The support by guest artist lifts the intensity of the music and generates a whole different level in which to play. Short but rounded Empty Whisky Jar starts of bluesy and changes towards jazz thanks to the vocals by Houry Dora Apartian, effectively depicting images of a Mike Hammer Private detective set in the 30’s to me. Carousel Of Death features Alex Argento on keyboards (also responsible for mixing and mastering) and Squiggy McFlannel on Trumpet, whom together with the base three stir things up, resulting in a rather complex heavy dynamical progressive track full of 1950s swing and burlesque. Lastly, Derek Sherinian adjusts the controls towards extraordinary progmetal on Ulterior Harmony, leaving the levers open to maximum extend results in a pure cask strength version of Dream Theater. Even the best master blenders have to make a judgment call now and then when there’s an exquisite and flawless cask that just is too good to be used in a blend, so it becomes a single cask whisky; a whisky-lovers dream with exceptional aromas, flavours, divine taste and a long everlasting finish. Last track Where Dreams Have Died is the exact equivalent: initially smooth, it changes to heavy progressive Pink Floyd and Dream Theater, giving of bursts of explicit guitars reminiscent of John Petrucci and Joe Satriani. Temporarily softening in the middle it slowly evolves into a dazzling exhibition by Shant on guitar, as if to say you don’t need words if your guitar can do it’s singing for you (ironically this being the one track with actual lyrics); ending with a relaxing silky smoothness. A special mention has to be made to the exemplary bass-work by Gildenlöw which is some of his best I have heard up to date. 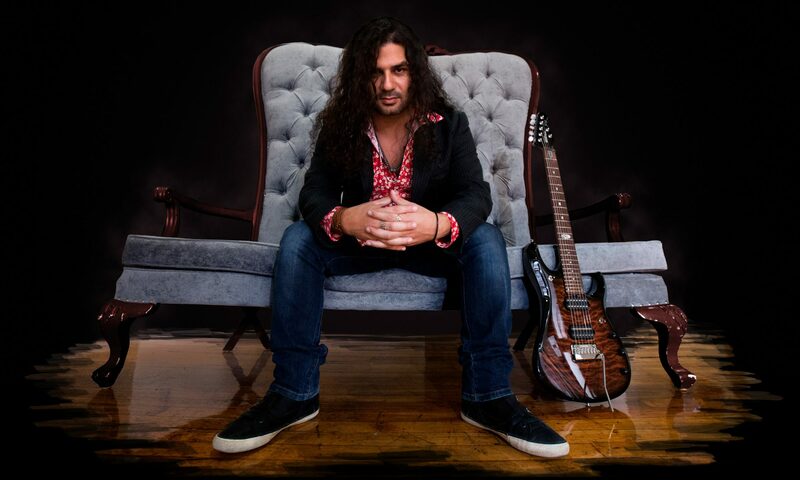 Combined with the intricate, energetic and refined drums by Blundell and the inspiring guitars by Shant has resulted in an outstanding album, which grows on you on each turn. Highly recommendable for progressive guitar lovers, and for now I’ll savor an established 20 years old Dutch Single Cask 1998 Millstone whisky and listen to it again; though I think the complexity and finish on the drink might take a while so more turns are needed… Let’s hope actual semantic saturation doesn’t happen. Get any item shipped anywhere free. Exclusively from the band store.